The Tapp team had the pleasure of attending HubSpot's InBound 2015 Conference in Boston to witness, and now implement for our clients, HubSpot's game-changing platform add-ons to their InBound Marketing Platform. Here is a list of 5 new additions that will make a significant impact on inbound lead generation in 2016 as marketers master these new tools. We have thus had the opportunity to put them to use for our clients and share our findings. Understanding all of the factors that go into making a contact qualified can be difficult, if not impossible. You need to figure out all of the properties to factor into your score and how much to weigh them by. Predictive lead scoring takes the pressure off of the marketer by providing a lead score based on behavior, demographic, social, email, company, and spam detection data. Predictive Lead Scoring is included at HubSpot Enterprise"
HubSpot will create a lead scoring system to identifying visitors who are more likely to become customers. How? ..... HubSpot will track everything your visitors are doing from the first visit to the time to becoming a lead, until they become a customer. By leveraging the data, HubSpot can predict the patterns customers create versus visitors who do not become actual customers. The Outcome.....With this new feature marketers will be able to identify prospects most apt to buy, and focus your attention on them instead of wasting time on weak leads that will not make a purchase. "A Website that Works for You. You want a website that delivers results. That’s a given. But what about a platform that enables you to do more with the content you publish? The HubSpot Website Platform ties your content into a full-funnel marketing system, optimizes it for search, adjusts to mobile, and even allows you to tailor your website to different visitors." HubSpot is bypassing the basic content management / optimization system and leap-frogging directly into a highly intuitive website management platform. The dawn of WYSIWI. On HubSpot, the changes you are making are right on your website, not in a back office text editor. What You See Is What It Is. Unlike a WordPress like WYSIWYG editor, where you make your edits, update your changes, and then load the site in a browser to see what the edits really look like. "Improving and optimizing your marketing starts with understanding your data. HubSpot's Reporting Add-on brings all the reports you need to analyze your marketing and sales data into one customizable dashboard. A happy home for your data." 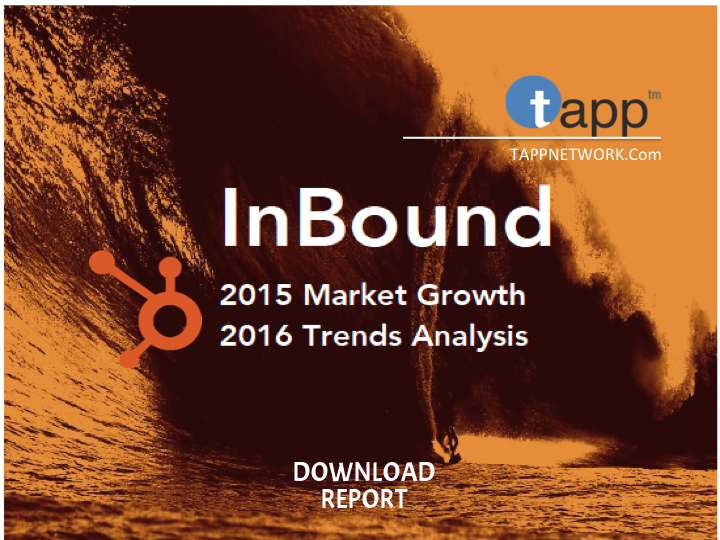 HubSpot is known for their in-depth reporting functionality when it comes to to inbound. Most of the KPI's we measure were already integrated into their analytics. With the additon of the KPI driven reporting add-on, lead generation focused marketers will save a a tremendous amount of time building reports that will give their brands a competitive advantage. The dash can also showcase all of the KPI's you need to track, automatically running reports on all of your key metrics. The key disruptor behind the reporting add-on will empower marketers to craft a custom KPI dashboard with all of the customized marketing and lead generation dat athey need to drive their core business units. As opposed to getting buried in spreadsheets to develop customized reports, inbound experts can integrate them on their dash, and thus be accessible at all times to key team members. HubSpot is launching a new initiative called HubSpot Connect, which works with integrating most of the marketing and sales tools on the market right now. At Tapp, this enables our customers to merge all of the data from their 3rd party systems enabling those tools and platforms to effectively integrate and synch with HubSpot's marketing and sales platform. "The Ads Add-on is the easiest way to create, measure and leverage ads for inbound marketing. You can now create ads right inside HubSpot and figure out which ads convert the most leads into customers. Easily build great ads that support your existing campaigns and track ROI down to the keyword"
Until now, managing ads has always been something you had to leave your dashboard to do. Imagine bringing paid traffic under the same umbrella of all the other inbound marketing tasks. HubSpot has pulled it off, integrating an all-in-one inbound marketing tool. Now marketers can create and manage ads from their HubSpot dash, as well as procure HubSpot's in-depth reporting on the ads as well. Now, marketers can easily measure precisely how many leads are associated with each ad as well as how they performed on your website without getting into costly and time consuming integrations. As marketers, we would rather use the HubSpot platform than any other platform out there. It's easy, it's simple, and it works. We are even more excited to see how much stronger our clients become when they make it their lead generation weapon of choice.